Your iPhone can help you rediscover the excitement, inspiration and fun of creative photography. We’re not just talking about the much improved camera of the iPhone 4, even though this is capable of much more than you might imagine. We’re also talking about a portable pocket computer, full of apps that can help you learn the techniques of the pros, master depth of field, work out the exposure and get your pictures straight when you’re shooting with a ‘proper’ camera. And how much will you have to pay for all these fantastic iPhone apps for photographers? Nothing! 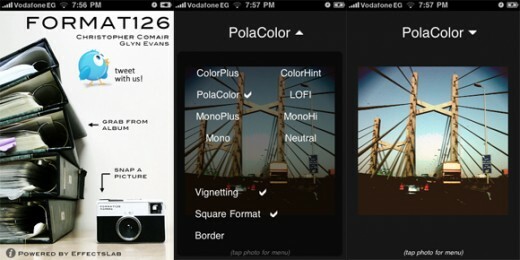 A great iPhone alternative app for free is Polarize. 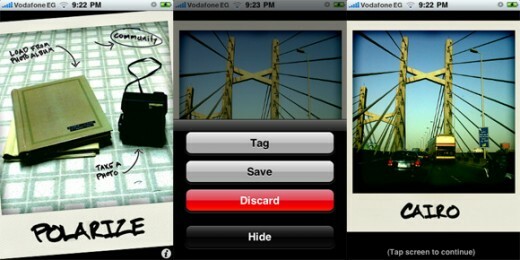 With Polarize, you can either choose a photo from your photo library or take a new photo. Polarize will give the photo that old-school polaroid feel, altering the colours and adding the frame. You can also add a caption to each photo, which appears at the bottom of the border, in a cool handwriting font. 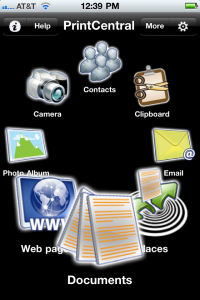 Photos created in Polarize are saved to to your camera roll. Another app that deserves a mention is Format126, which allows you to add one of 8 effects to a photo in your camera roll, or to a newly taken photo. 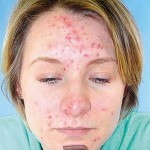 The effects consist of ColorPlus, PolaColor, MonoPlus, Mono, ColorHint, LOFI, MonoHi and Neutral. 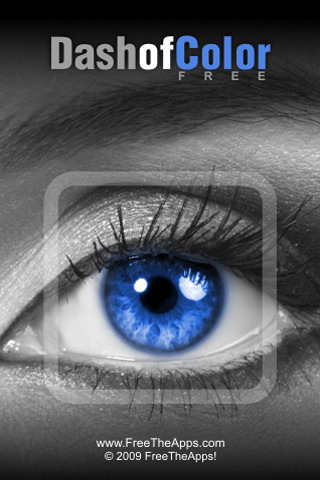 All of the effects reflect the retro effect found in the 1960′s 126 film format. 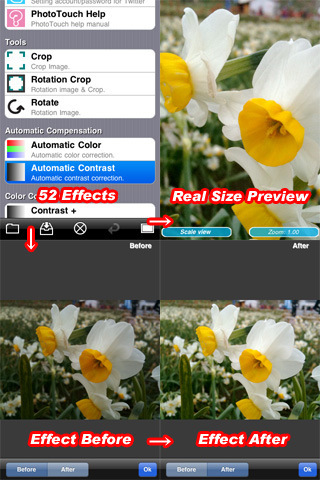 There are two free alternatives to ColorSplash in the iTunes App Store. Dash of Color allows you to choose a photo from your camera roll to edit. The photo is automatically desaturated, and by swiping your finger over sections of the photo you can restore its original color. The app allows you to adjust the size of the brush, and if you make a mistake, can also alternate between adding or removing colour. iQuikSplash uses a different approach. Rather than swipe your finger over the sections that you want to colour – you tap the photo to choose one specific colour that will remain, while the rest of the photo will be desaturated. There are a few free alternatives that photography buffs can use to add interesting effects to their photos. 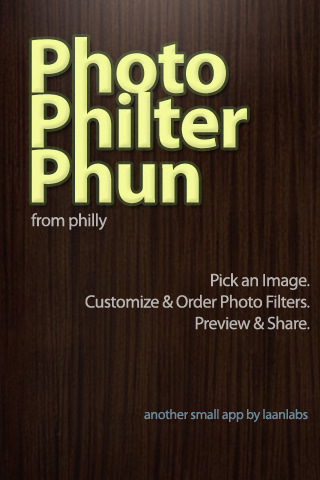 Photo Philter Phun allows you to add effects to a photo from your camera roll, or to a newly taken photo. Filters include wave, noise, swirl, charcoal, sharpening and blurring amongst others. 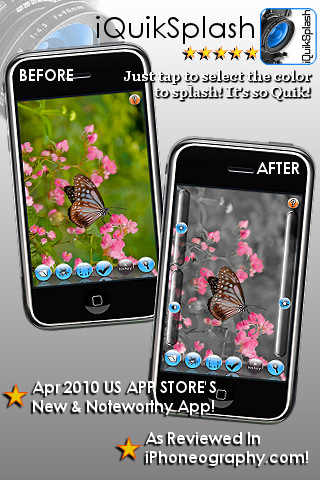 PhotoTouch is another free app that is packed with photo editing features. It allows you to automatically adjust the colours and contrast of your photos, as well as crop or alter the size of the image. Using PhotoTouch, you can also adjust the saturation, and apply a variety of filters including Sepia, Solarization, Softening, Mosaic and Pixel Movement. While the free app Video Genius does not have the added effects that the $0.99 app iVideoCamera has, it still allows iPhone 2G and 3G owners to record video on their iPhone for free. Videos shot using Video Genius are saved in the camera roll, and can be played back after they have been saved. Video Genius also allows you to record for 40-60 seconds at a rate of 12 frames a second, or longer videos at a rate of 8 frames per second.The app is free for the time being so get it while you can! Shutter Cam is a free alternative to to QuadCamera, allowing you to take from two to five continuous shots. 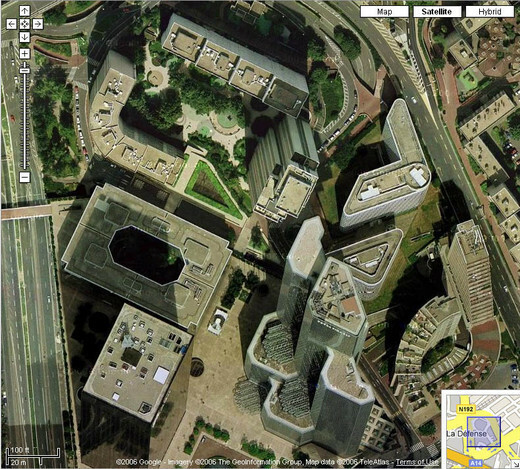 You can choose to add a timestamp to your photographs and adjust the image size. 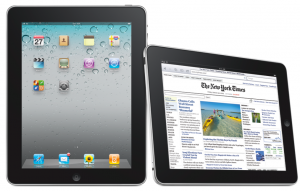 Do you know of any free apps that are great alternatives to the top paid photography apps in the iTunes store? Let us know in the comments.